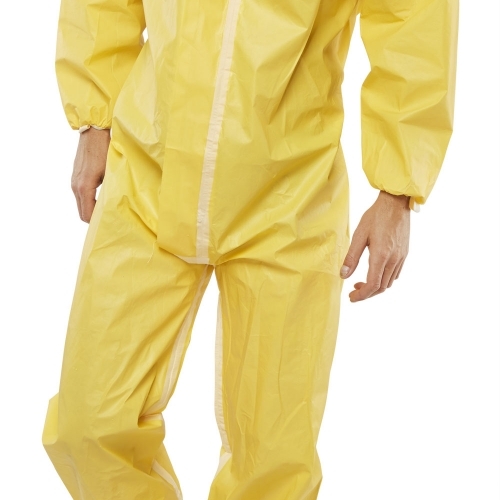 Breathable fabric is designed to offer protection against hazardous dusts and limited liquid splash. Elasticated hood, cuffs, ankles and waist. 2 way zip with sealable tab on storm flap. Low linting. 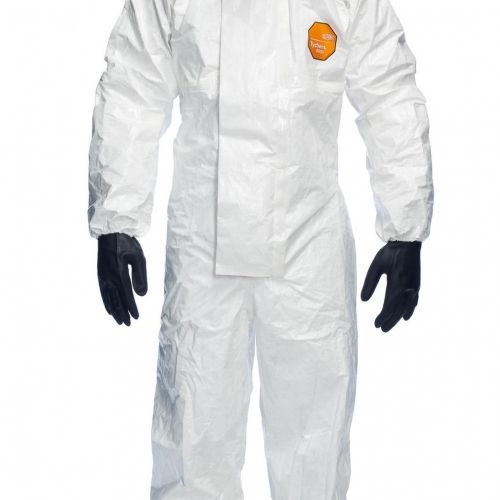 The 4520 is made from extremely lightweight and breathable material and is designed to offer protection against hazardous dusts and limited liquid splashes. Elasticated hood, ankles and waist. 2 way zip with sealable tab on storm flap. 3- panel hood. Knitted cuffs. Low linting. 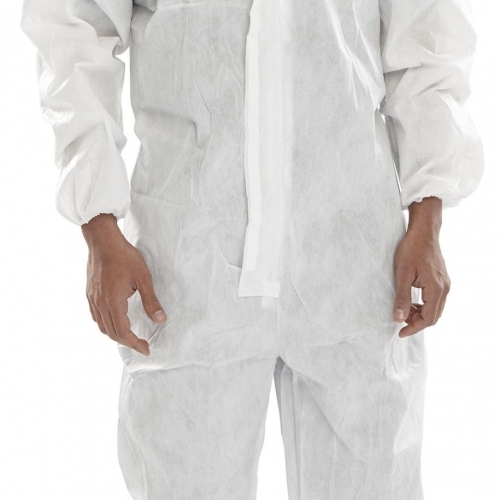 The 3M 4530 is designed to be lightweight and breathable whilst offering protection against hazardous dusts and limited liquid splashes. 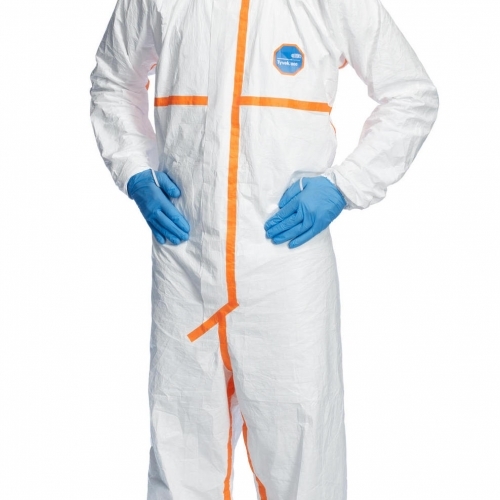 The material complies with ISO 14116:2008 for limited flame spread index 1 (must be worn over an index 2 or 3 garment). Type 5/6 Elasticated hood, ankles and waist 2 way zip with fully sealable storm flap 3-panel hood Knitted cuffs Low linting. 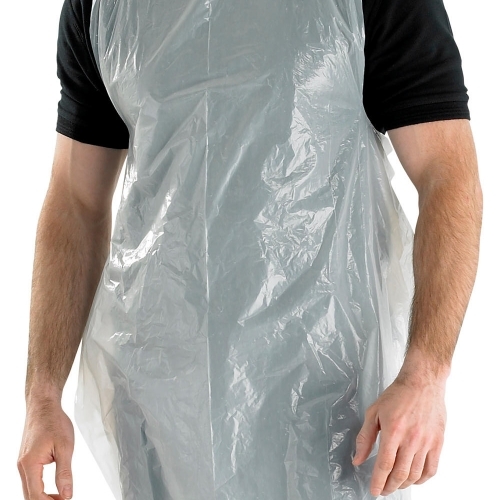 White colour Halter neck and ties around the waist Bacteria and fluid penetration resistant Aprons measure 42" x 27" (107x69mm) approx. Covering all facial hair is equally important in assuring product security; when worn correctly, Beard Covers offer good protection against stray facial hair. 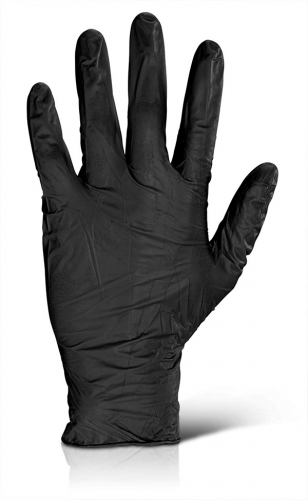 Made from a lightweight, non-woven, polypropylene material. 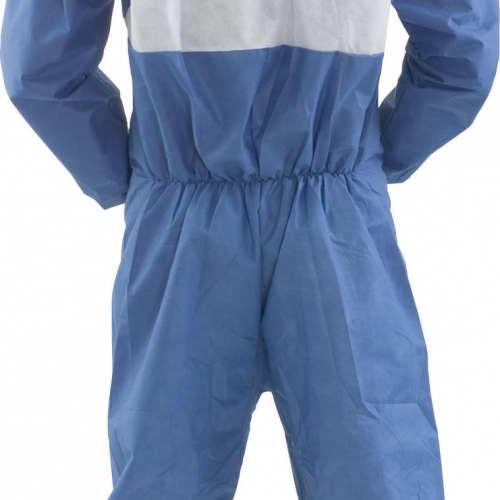 Protective coverall CE Type 5 & 6 For fine dust particles Reduced spray and limited splash 2 way zip front with storm flap Elasticated cuffs, ankles, waist and hood Breathable fabric Individually packaged Very economical EN13034 :2005 + A1:2009 EN13982-1:2004 + A1:2010. 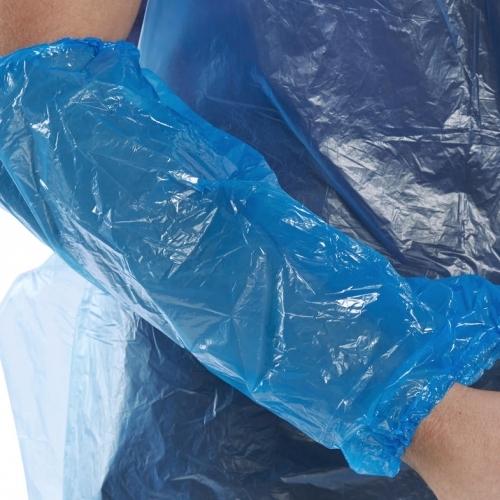 Elasticated cuffs and upper arm Offers secure comfortable fitting Ideal for use in the food industry Available in 4 distinctive colours 2000 loose (1000 pairs) Non compliant to any EN standard. 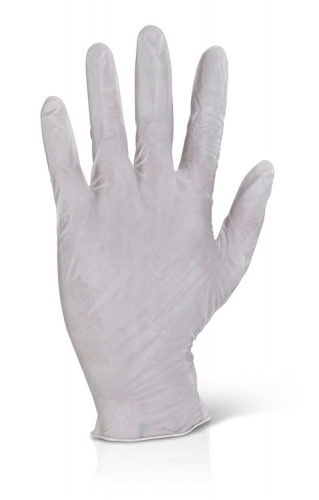 Disposable gloves • Allows touch sensitive work to be carried out with ease • Ambidextrous • Easy to pull on beaded cuff • EN455-1 (ALQ - 1.5) • MINIMAL RISK. 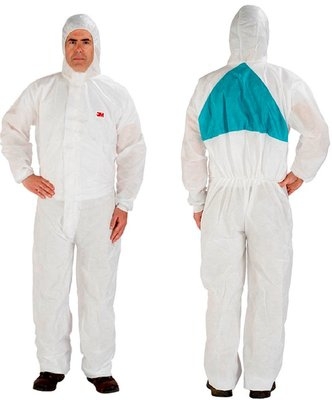 Protective coverall CE Type 5 & 6 For fine dust particles, reduced spray and limited splash Anti static 2 way zip front with storm flap Elasticated cuffs, ankles, waist and hood Microporous breathable fabric Individually packaged Very economical EN 13034 :2005 + A1:2009 EN 13982-1 :2004 + A1:2010 EN 1149-5 :2008 EN 14126 :2003. 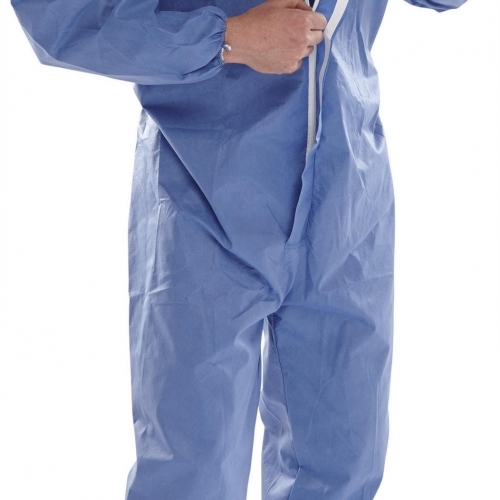 Disposable coverall 60G microporous fabric Laminated finish Light spray and limited splash protection 2 way zip front with flap Elasticated cuffs, ankles, waist and hood Fully taped seams Individually packaged CE Type 4,5 & 6 Conforms to: EN 14605 :2005 + A1:2009 EN 13034 :2005 + A1:2009 EN 13982-1 :2004 + A1:2010 EN 1149-5 :2008 EN 14126 :2003. 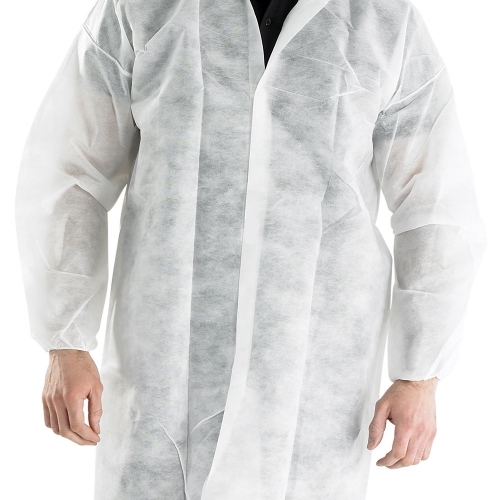 Non woven polypropylene Disposable visitors coat with collar Velcro fastening. 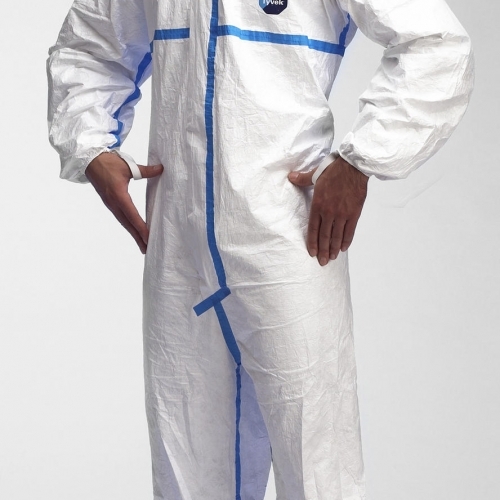 Fabric disposable boilersuit Non woven fabric 33gsm SMS (spunbond + meltblown + spunbond nonwovens) Elasticated hood Elasticated waistband and ankles No.3 nylon spiral one-way zip front opening Zip colour matches garment shell fabric. 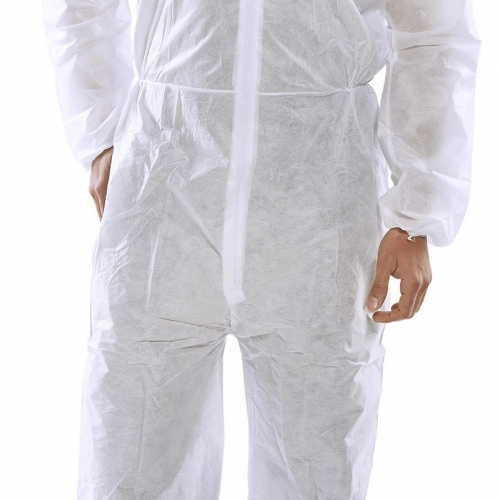 White, hooded coverall 3 piece hood. Elasticated face, wrist and ankles. 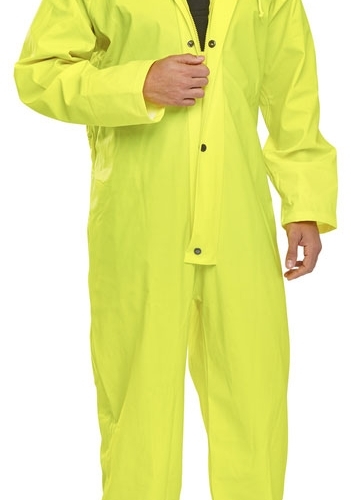 Protection against particles and liquid splash. Must be worn over the top of a primary FR garment. Stitched external orange seams. Suitable for petrochemical, railway, welding and many other applications. Conforms to: CAT III, Type 5,6. EN1073-2, EN1149-5, EN1146 Index 1. 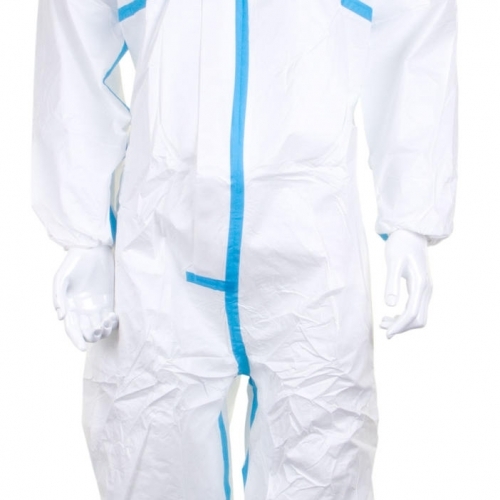 Microporous type 3/4/5/6 disposable coverall 90gm 56% SMS polypropylene, 44% polyethylene Polyethylene laminated +3 layers of polypropylene Ultrasonic taped seams Elasticated hood, wrists, ankles and waist Zip front with storm flap Elasticated thumb loops Ideal uses: Maintenance & Repair Powder coating Insulation laying Pharmaceutical manufacture Paint spraying Wood & Metal processing Low level chemical handling Resin application Pressure/Steam water cleaning Fibreglass manufacture Conforms to: EN 13688 :2013 EN 14605 :2005 + A1 :2009 EN ISO 13982-1 :2004 + A1 :2010 EN 13034 :2005 + A1 :2009 EN 14126 :2003 EN 1073-2 :2003 EN 1149-5 :2008. 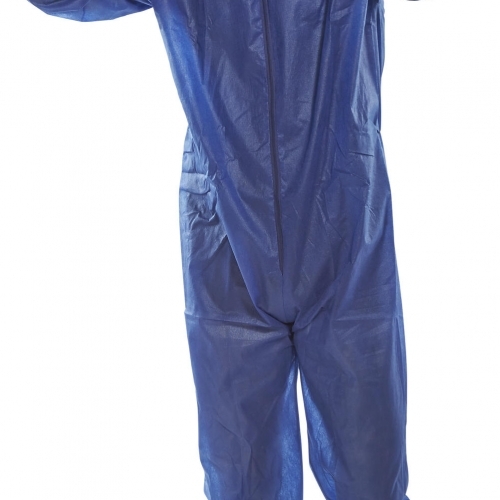 Hooded coverall Lightweight and durable (<700g) Adhesive chin flap Elasticated face, wrist and ankles Thumb loops Double cuffs, zippers and zip flaps Stitched and over seams Good barrier against organic and inorganic chemicals Suitable for oil and gas industry, chemical engineering, response teams and many other applications Conforms to: CAT III, Type 3B, 4B, 5B, 6B, EN 1073-2, EN 1149-5, EN14126. 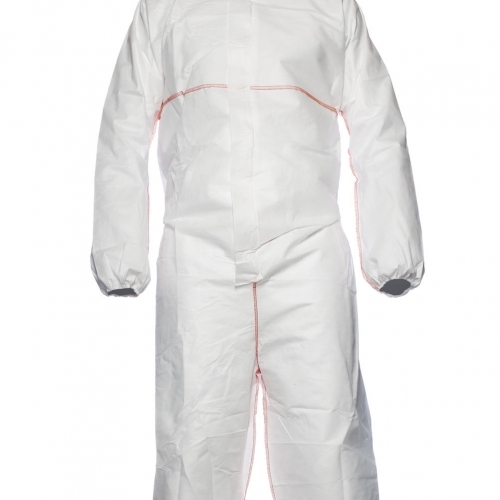 Tyvek ® 800J White, hooded coverall Robust, yet lightweight Adhesive Chin Flap Elasticated face, wrist and ankles Thumb Loops Self-Adhesive Zipper Flap Stitched and over taped seams Effective Barrier for low concentrated water based inorganic chemicals and hazardous particulates Oil repellancy Suitable for industrial cleaning, petrochemical, sewers and maintenance and many other applications. Conforms to: CAT III, Type 3B, 4B, 5B, 6B. EN 1073-2, EN 1149-5, EN14126 Pictograms: CAT III, Type 3B, 4B, 5B, 6B. EN 1073-2, EN 1149-5, EN14126. 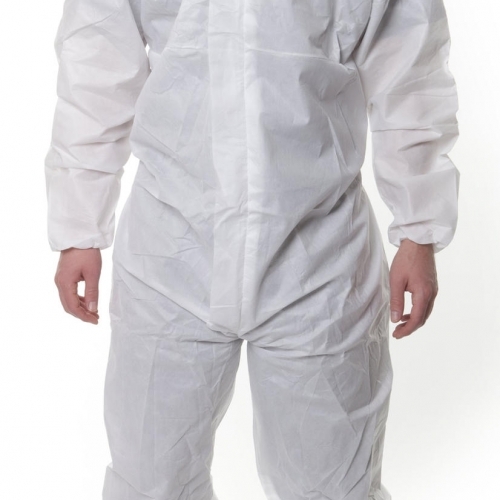 Tyvek ® Classic Plus White, hooded coverall Robust, yet lightweight Adhesive Chin Flap Elasticated face, wrist and ankles Thumb Loops Excellent barrier to fine particles and fibres Stitched and over taped seams Ultra-Low Linting Suitable for Pharmaceutical manufacturing, nuclear, laboratory, biohazards and many other applications. Conforms to: CAT III, Type 4B, 5B, 6B. EN 1073-2, EN 1149-5, EN14126 Pictograms: CAT III, Type 4B, 5B, 6B. EN 1073-2, EN 1149-5, EN14126.